The 18-hole Arnold Palmer at Mission Hills Country Club in Rancho Mirage, CA is a private golf course that opened in 1978. Designed by Arnold Palmer and Ed Seay, Arnold Palmer at Mission Hills Country Club measures 6834 yards from the longest tees and has a slope rating of 132 and a 72. 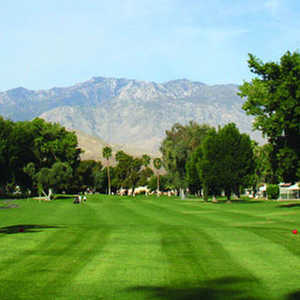 The 18-hole Club at Morningside in Rancho Mirage, CA is a private golf course that opened in 1982. Designed by Jack Nicklaus, the Club at Morningside measures 6851 yards from the longest tees and has a slope rating of 133 and a 72. The 18-hole Dinah Shore Tournament at Mission Hills Country Club in Rancho Mirage, CA is a private golf course that opened in 1970. Designed by Desmond Muirhead, Dinah Shore Tournament at Mission Hills Country Club measures 7240 yards from the longest tees and has a slope rating of 139 and a 75. It's not easy to outdo and overshadow Pete Dye. But many golf observers feel that Gary Player's done just that with this design at Westin Mission Hills Golf Resort & Spa in Rancho Mirage. 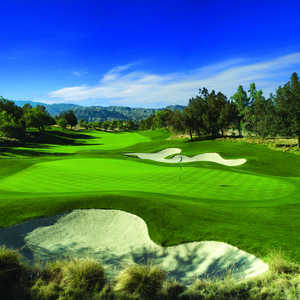 Gary Player Signature Course is the second course at Westin Mission Hills Golf Resort & Spa, having followed Dye's South Course. The 27-hole golf course designed by Ted Robinson is the centerpiece of Rancho Las Palmas Resort & Spa. The North/South is the shortest of the three courses. The fairways are wide but lined with swaying palms. The layout can be tight in some sport and a few holes have water hazards but overall it is a very player-friendly course. The 18-hole Pete Dye Challenge at Mission Hills Country Club in Rancho Mirage, CA is a private golf course that opened in 1988. Designed by Pete Dye, Pete Dye Challenge at Mission Hills Country Club measures 6955 yards from the longest tees and has a slope rating of 143 and a 74. Rancho Las Palmas Resort & Spa offers 27 holes of championship golf. Divided into three nines: North, South, and West, the courses are played in three different 18-hole combinations. The South/West Course enjoys the snow-capped Mount Jacinto as a backdrop. Thousands of palm trees cover the rolling terrain and there are six lakes that come into play throughout all three courses. The 18-hole Springs Country Club in Rancho Mirage, CA is a private golf course that opened in 1975. Designed by Desmond Muirhead, Springs Country Club measures 6637 yards from the longest tees and has a slope rating of 128 and a 71. The 18-hole Sunrise Country Club in Rancho Mirage, CA is a private golf course that opened in 1974. Designed by Ted Robinson, Sr. , Sunrise Country Club measures 3932 yards from the longest tees and has a slope rating of 90 and a 57 USGA rating. The 18-hole Tamarisk Country Club in Rancho Mirage, CA is a private golf course that opened in 1952. Designed by William F. Bell and William P. Bell, Tamarisk Country Club measures 7003 yards from the longest tees and has a slope rating of 131 and a 73. The 18-hole Sinatra Resort & Country Club (previously known as Desert Island Golf & Country Club) in Rancho Mirage, CA is a private golf course that opened in 1971. Designed by Desmond Muirhead, The Sinatra Resort & Country Club measures 6715 yards from the longest tees and has a slope rating of 131 and a 72 USGA rating. The 18-hole Thunderbird Country Club in Rancho Mirage, CA is a private golf course that opened in 1951. Designed by Lawrence Hughes and John Dawson, Thunderbird Country Club measures 6801 yards from the longest tees and has a slope rating of 133 and a 72. Rancho Las Palmas Resort & Spa boasts a 27-hole championship course that serves as the centerpiece of the resort. North/West is a challenging but playable golf course. There is a good mix of tough holes and player-friendly elements. The fairways are lined with palm trees but they are wide and offer some room for error.